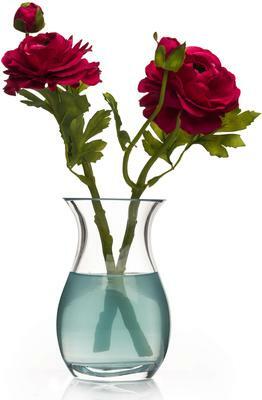 Extremely elegant and charming, this classic debonair piece from Solavia's Vase collection is the perfect home for your darling blooms. Its traditional shape and extreme clarity make it ideal for offering your multi-hued floral arrangements with a striking contrast. Whether adorning the table-top or placed on the mantel, this timeless treasure shall never fail to impress. Adding just the right touch of the old-world charm to the contemporary milieu at your home, this one aims for balance and harmony. Hand wash recommended, dry with a soft, non-abrasive cloth.